In this blog Claire Gardner shares some insights from her own divorce. She explains the fears she had surrounding her journey to being financially self-sufficient and how she draws on that to help other women who are having to look at going back to work following a divorce or separation. Many couples make decisions that one person will stay at home to look after children and historically this has often been mum’s role (although at LKW Family Mediation we have worked with a number of dads who have fulfilled this role). This is often financially workable when one income is only serving the costs of one property. When a couple take the decision to separate they will need to move to two separate households and often one income is not sufficient to financially support this meaning the parent who has been looking after the children has to return to work. If you have not worked for a number of years then you may feel that you are ‘out of touch’ or that you no longer have relevant skills. You may also feel that you lack the necessary confidence. You may have had children quite young and feel that you never really started a career and so have very limited options in terms of work. Claire talks about how she works with women in this situation to help them develop a career and an income stream. When I separated from my husband, there were a mix of emotions; from fear to freedom, insecurity to independence and just about everything in between! I sacrificed my own career to bring up my kids and I supported my ex-husband in his career, a joint decision made with the best of intentions, at the time. When we started divorce proceedings, things came to light that made me realise I should have retained more financial independence within the marriage and that I would have to be very resourceful if I wanted to pay my bills and rent. I had to fight very hard in Court for spousal maintenance and the Judge’s decision in my favour, enabled me to meet my basic outgoings – but this will end when my son is 14 and then what? It took me a long time to reconcile the feeling of desperately wanting to be independent and “free” from my ex whilst living in the knowledge that I needed his maintenance just to survive with the added pressure of knowing the spousal element would end in 7 years. He still had a hold on me. I allowed myself to wallow in these emotions for a while – fear, insecurity, doubt, injustice, anger. Before long, my natural resourcefulness kicked in and I was starting to network again with old colleagues, attending networking events, using co-working spaces to meet new people and I resurrected my profile on LinkedIn and started posting regularly on social media. My background in recruitment really helped me to market my skills and look for new clients and, before long, I started to see a chink of light which would eventually lead me out of the grip of spousal maintenance. 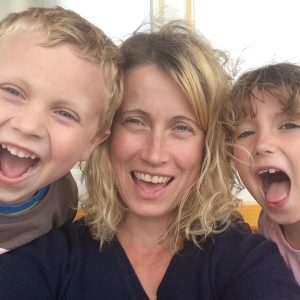 My own personal divorce journey has really taught me a lot about myself; I have had to become more self-reliant, resourceful and independent, whilst juggling children, childcare, work and personal life. It has taken time but I can now see that my divorce has taught me so much and given me freedom in ways that I had not expected; I show my kids every day that we have to “keep on keeping on” and I hope I have inspired other single parents along the way to find the light at the end of the divorce tunnel. Please do contact me for an informal chat about how my journey could help you on your road to confidence .